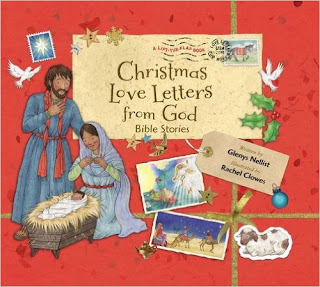 Christmas Love Letters from God: Bible Stories by Glenys Nellist is a fantastic book to add to your child's holiday reading list! It's written for children 4-8 and cleverly combines both prose and poetry as the story of Jesus’ birth unfolds. The book includes seven stories, beginning with Isaiah’s prophecy and ending with the visit of the wise men. My kids favorite part of Christmas Love Letters from God: Bible Stories by Glenys Nellist is find the letter from God, folded into a small envelope attached to the page. I love that a very special Bible verse, entitled God’s Perfect Promise, also accompanies each story and letter as God’s personal words of love, promise, and hope. Christmas Love Letters from God: Bible Stories by Glenys Nellist does an amazing job to make kids feel special and loved by God! You can find Christmas Love Letters from God: Bible Stories by Glenys Nellist on Amazon, Barnes and Noble and other bookstores.